The Old Testament is comprised of thirty-nine books, the New Testament, twenty-seven books; how we transition from the former to the latter is a matter of the Scriptures themselves. What is meant by this is that just as the Old Testament canon described, foretold and prepared the way for the revelation of the Bible’s central Person: Jesus Christ the LORD (as well as the people of Israel’s ultimate destiny), the New Testament fulfilled the revelation in accordance with all of the previous writings from Moses and all the prophets concerning Christ and His nation. The question at hand then is, how were these twenty-seven books recognized as authentic canon and of equal authority to Old Testament canon? What sort of progression was evidenced in this recognition and did church authority have anything to do with its authentication? 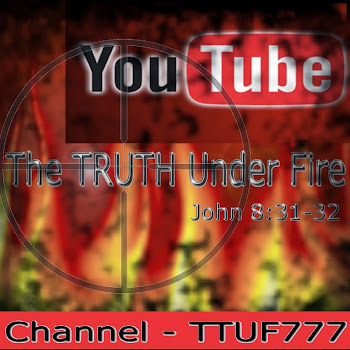 It’s vital to understand which books are canon, and which are not and why; the book of Enoch is not authentic canon, nor is the Gospel of Mary, and the first and second book of Maccabees, Esdras, etc. There are demonstrable and reasonable arguments as to why this is so, and the biblical student must be conversant with these if they are to have a reasonable confidence that what they hold in their hands is a collection of 66 books written over thousands of years by some forty authors as the veritable and wholly exclusive Word of God! Without such confidence, one might sway in their adherence and give attention to such non-biblical books as just mentioned and suffer detrimental effects to their faith. With the arrival of New Testament canon, the progressive revelation of God was made all the clearer to the saints. There were many mysteries unsolved, which the prophets longed to understand (MATT 13:15-17) but could not – yet the disciples of Christ came to understand, because it was Christ Himself that revealed them. For example, many saints were hard pressed to reconcile the portrait of the Messiah as revealed in the Old Testament canon: on the one hand, He is depicted as a conquering and glorious King who would come to rule Israel and the Gentile peoples of the world (PSALM 2 and ISAIAH 63:1-3); on the other hand, He is seen as a suffering servant, dying on behalf of His people’s sins (PSALM 22 and ISAIAH 53). The dichotomy was so striking to the saints of the Old Testament era that many rabbis concluded that there must be in fact, two different Messiahs (Meschiach ben Josef and Meschiach ben David). With the arrival of Jesus of Nazareth, and the revelation that He brought concerning Himself, along with the testimony of all the New Testament writers, we now understand the Old Testament Scriptures more clearly in that there is only one Messiah, but two different advents – He came as the suffering servant in His First Advent, and will come again (soon and very soon!) as the conquering King in His Second! Hallelujah! We see immediately in any Bible we pick up, the term “New Testament” in juxtaposition to “Old Testament” – the basis for these two are also as comparative in their means as their methods. The Old Testament was based on the Law of the LORD and codified in the Temple of God with its prescribed animals sacrifices whose blood had to be shed in order to cover the sins of the people. Whether one is referring to the LORD Jesus, or the apostles Peter or Paul, a consistent characteristic of all of them is in their quoting of the Old Testament in presenting both the Gospel and New Testament doctrine in general (MATT 1:22; 2:15, 23; 4:14; 8:17; 12:17; 13:35; 21:4; 26:24; 27:35; MARK 1:2; 7:6; 9:13; LUKE 3:4; JOHN 19:24; ACTS 7:42; 13:33; 15:15; ROM 1:17; 2:24; 3:4, 10; 4:17; 8:36; 9:13, 33; 10:15; 11:8, 26; 14:11; 15:3. 9. 21; 1 COR 2:9; 10:7; 2 COR 4:13; 8:15; 9:9; GAL 3:10; 5:14; JAMES 2:23; and this is just mentioning some of these!). Such consistent quotations from spurious books that claim authenticity are conspicuous in their absence – nor do any of the New Testament canon refer to Scriptural content as contained in verses from other books. Point in fact, Revelation speaks of the closing of New Testament canon much as the Old Testament did (DEUT 4:2; 12:32), yet extra-biblical books ignore such declarations (REV 22:18-20). Since the doctrine and truths as recorded in Old Testament canon are all focused around the central figure of the Scriptures – the LORD Jesus Himself, it is no wonder that the LORD Himself is the pivotal authority upon which swings the authenticity of inspired Scripture. Just as the former canon prepared the way in revelation of the Messiah and shown itself to be Divine in its origin via the fulfillment of Messianic prophecies, so too the Messiah prepared the way for the forthcoming canon and the associated prophecies contained therein, many of which we are seeing fulfilled, or in preparation of their fulfillment in our day, and thus likewise revealing its authenticity. Just as the Spirit of God inspired the prophets of old (2 PETER 1:19-21), so too, He likewise inspired the godly men who penned the new revelations from the Gospel accounts, to Acts, Romans, all the way to the Revelation (LUKE 10:16; JOHN 16:12-14; note in these passages the LORD pre-authorizes the revelations sent by Him and subsequently the writings of New Testament canon as legitimate and inspired by the Spirit of God). Both Jew and Christian considered the Old Testament as canon and indeed these Scriptures were used as the “standard” by which the teachings of the apostles were measured (ACTS 17:11). 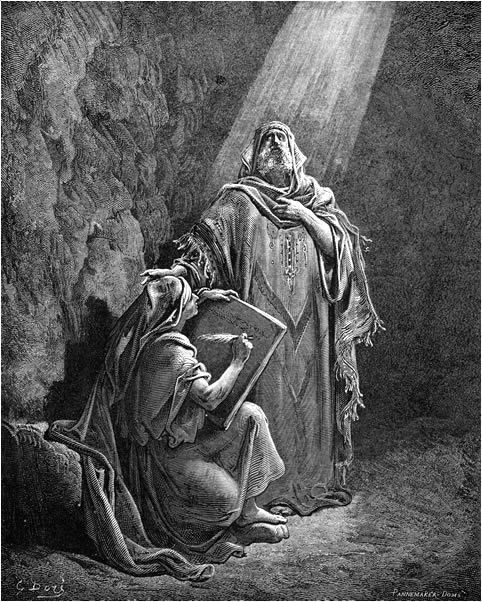 There was never any variation of authenticity in the writings of the apostles and New Testament writers concerning Old Testament canon; all Scripture was considered equally inspired of God (2 TIM 3:16); the apostles recognized the writings of other apostles as authentic, inspired of God and with an equity to Old Testament revelation (2 PETER 3:15-16). (MATT 5:17-18,27-28,33-37,38-42,43-45;22:36-40,41-46; MARK 10:2-10; LUKE 24:27; JOHN 5:38-40). The LORD Who supported His own teachings upon the foundation of the prior canon also expounded and extrapolated via His own ministry their deeper truths. There are those liberal and even moderate scholars who purport that the Gospel accounts were written some hundred plus years after the fact of the LORD’s presence on Earth. Yet credible evidence supports the view that these documents (all four) were written within the first generation of the church, which was born on Pentecost. For a comprehensive view on this, please consider this article from COMPELLING TRUTH ministries. When Were The GOSPELS Written? “The apostles considered themselves to be writing Scripture, and considered one another’s letters Scripture too. Paul writes, “What I am writing to you is the Lord’s command” (1 COR 14:37). He told the Thessalonians, “When you received the word of God, which you heard from us, you accepted it not as the word of men, but as it actually is, the word of God” (1 THESS 2:13). The apostle John frequently argued that his apostolic teaching was from God, while his Gnostic opponents were not (1 JOHN 4:4-6). As with the above quote from EVIDENCE UNSEEN, there is more in that article about the church fathers (patrists) and their view of the writers of the New Testament. Follow the link and read the section entitled The Early Church Fathers’ View. Clement is among the first of the 2nd Century church fathers, who in his writings to Corinth cites Old Testament Scripture and refers to New Testament books and verses in replete fashion, demonstrating the acceptance of the New, as well as the Old. At that time, the Old Testament which stood the test of time for millennia was esteemed by Clement more than the New Testament which was almost contemporary by comparison. However, his view of the Old Testament canon has shown a clear view of New Testament interpretation as to reveal his recognition of these writings of the apostles as being vital to understanding the older canon. The esteem of the New Testament grew exponentially with the passage of time and careful scrutiny by the saints of the early church. Polycarp was one church father who frequently quotes from the New Testament canon, specifying verses from almost every book that we now possess – and to the important exclusion and non-recognition of those books that are not included. It is also interesting that non-canonical books would often cite New Testament books (as if to acquire legitimacy by association), but never each other (The Gospel of Mary for example never quotes from the epistle of Barnabas, two spurious writings) or from any of the New Testament books. Iranaeus often in his letters would use phraseology that is nearly verbatim of the epistles of Paul and Peter and other statements that he scribed reminiscent of Gospel records as found in John and Luke. He spoke of the four Gospels as the only ones that should be recognized, rather than the Gnostic predilection for the single-Gospel account which had been seriously compromised, deleting aspects of the deity of Christ, His miracles, His propitiatory death and resurrection. He rightly locates the origin of the Gospel recordings and for whom they were written (Matthew for the Jews, Mark for the Romans; Luke as the writer of Paul’s Gospel record in Acts, John who wrote his Gospel account in Ephesus). Many other church fathers – while certainly not possessing any authority equal to that of the apostles (something that they all readily admitted) nevertheless lent their voices in supporting and promoting the books of the New Testament as worthy of being called the Word of God. At various states and times certain books were questioned – the book of James for one, as at first it seemed to teach salvation by works (which it did not, but merely demonstrated that works that are good, as qualified as from God, for He alone is truly good) will accompany salvation as its necessary fruit. The book of Hebrews was likewise initially doubted as it is anonymous (but later came to be ascribed by some to Paul) – as are some non-canonical works – but later was recognized for its oft citations of Old Testament Scripture and its indisputable reasoning that exalts Christ over all. The content of 2nd and 3rd John were at first questioned because of a certain degree of lack in the way of doctrinal content. In 2nd century church history, records show many church fathers attributed divine inspiration for the various books of the New Testament – such as Justin Martyr, Marcion, Origin, Dionysius and others – most if not all of which were Gnostic or at least sympathetic to them. Such endorsements would seem hardly acceptable, other than the fact, that in order to lend credence to their own writings, they appealed to these other books that – according their own admission – were accepted by the church (and by such an admission held the hope that their writings would then also be accepted). It must be understood that while the books we now possess in our New Testament are recognized as authentic and inspired canon, there are many other books that likewise made this claim – and yet are excluded from the canon. One might ask the question: Why this is so? The answer is most important. In the recognition of previous books, certain qualities were evident and the lack of these qualities made books unaccepted both then and today as canon, suspect; the presence of such qualities lent themselves to the belief by the church that these other books were in fact inspired of God and therefore acceptable. 1) Was the book written by a recognized prophet or apostle. 2) Was the book written by one associated with a recognized prophet or apostle. 3) Is Truth presented in the book that can be verified by earlier or contemporary writings by known prophets or apostles. 4) Is there a consistent faithfulness to the overall revelation of God as found in the volume of canon. 5) Is the book confirmed by Christ, prophets and apostles – this applied particularly to Old Testament canon. Christ as well as Paul, spoke and quoted in replete fashion verses from the canon. 6) The usage of such books by the church; some of these books were wholly neglected by the saints, as they were not ministered to by such writings, bearing witness that edification and exhortation and admonition in the truth was substantially lacking. To read this article in full, follow this link. On the issue once again on progressive revelation: The LORD God has produced for us His work of revealed truth as found in the Holy Bible. He begins with creation – how it all began. He proceeds from there to the institution of His commandments as LORD to His created beings; Adam and Eve. Having documented the fall of man, and the subsequent ramifications – He then reveals the institution of human government and its own inherent rebellion against His commandments. Judgment ensues when He commanded Noah to build the ark and the Flood came, obliterating the human race, save for eight. He then focuses on a particular man, Abram (later known as Abraham) and institutes the covenant of promise, apprehended by faith – which reveals in greater detail than ever before, the spiritual truths of substitution, atonement, imputation and others. Then came the Law of God, documenting the holiness of God as revealed by the Law’s perfection as well as the sinfulness of mankind, by his inability to obey the Law perfectly. The institution of the Tabernacle/Temple brought about the revelation via the many feasts and sacrificial types that the LORD prescribed, of the coming One – the Messiah of Israel. In each instance, previous truth is verified, and then additional truth is brought to bear, but in no way does it contradict or abrogate previous truth. 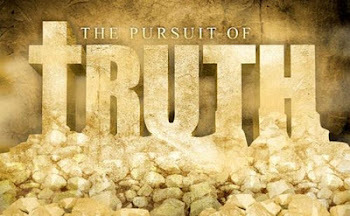 Once the Gospel accounts were recorded, and the epistles afterwards, along with the Revelation of Jesus Christ, the canon was completed; in so much as the progressive revelation no longer needed to progress as the fullness of truth has already been revealed in the Person of Jesus Christ and His Word. Thus the need for apostles and prophets is entirely absent today – the revelation being completed, their offices are no longer needed; their function as conduits of canonical truth is not required as He of Whom Scripture testifies has brought all that He intended to the church – and to Israel as well. “There have been accusations that the council of Nicea had a tremendous effect on both choosing what books should be in the Bible and changing some of the doctrines that the church held before that time. “The council of Nicea met in A.D. 323 to discuss how Jesus Christ was related to God. There were some in the church, led by Arius of Alexandria, who denied that Jesus Christ was God in human flesh, the Second Person of the Trinity. In order to answer these issues, the church had to make a pronouncement about which books authoritative doctrine could be based on. “The council of Nicea did not meet to discuss which books belonged in the New Testament canon. It only recognized the books that the church had from the beginning considered to be the Word of God. “The books that were recognized as Scripture had already been composed at the time. All the books contained in the New Testament were composed before the end of the first century. Some fifty existing papyrus manuscripts written before A.D. 325 contain parts of every book of the New Testament except 1 Timothy. “It is very important to clarify exactly what role the Emperor Constantine played in the Council of Nicea, what the purpose for the council was, what happened at Nicea, and briefly how the canon—the Bible as we know it—was formed. Constantine was a Roman Emperor who lived from 274 to 337 A.D. He is most famous for becoming the single ruler of the Roman Empire (after deceiving and defeating Licinius, his brother-in-law) and supposedly converting to Christianity. It is debated whether or not Constantine was actually a believer (according to his confessions and understanding of the faith) or just someone trying to use the church and the faith to his own advantage. Constantine called the Council of Nicea—the first general council of the Christian church, 325 A.D.—primarily because he feared that disputes within the church would cause disorder within the empire. The dispute in mind was Arianism, which was the belief that Jesus was a created being. The famous phrase they were disputing was, "There was when He was not." This was in reference to Jesus and was declared heretical by the council and thus resulted in the following words about Christ in the Nicene Creed: "God from true God…from the Father…not made." It was determined by the council that Christ was homoousia, meaning, one substance with the Father. “Concerning manuscripts that were burned at the order of Constantine, there is really no mention of such a thing actually happening at the order of Constantine or at the Council of Nicea. The Arian party's document claiming Christ to be a created being, was abandoned by them because of the strong resistance to it and was torn to shreds in the sight of everyone present at the council. Constantine, and the Council of Nicea, for that matter, had virtually nothing to do with the forming of the canon. It was not even discussed at Nicea. The council that formed an undisputed decision on the canon took place at Carthage in 397, sixty years after Constantine's death. However, long before Constantine, 21 books were acknowledged by all Christians (the 4 Gospels, Acts, 13 Paul, 1 Peter, 1 John, Revelation). There were 10 disputed books (Hebrews, James, 2 Peter, 2-3 John, Jude, Ps-Barnabas, Hermas, Didache, Gospel of Hebrews) and several that most all considered heretical—Gospels of Peter, Thomas, Matthaias, Acts of Andrew, John, etc. 1) There are no clear, definite New Testament quotations from the Apocrypha by Jesus or the apostles. 2) Jesus implicitly rejected the apocrypha as Scripture by referring to the entire accepted Jewish Canon of Scripture. 3) The oracles of God were given to the Jews and they rejected the Apocrypha as part of this inspired revelation. 4) The Dead Sea scrolls provide no commentary on the Apocrypha but do provide commentary on some of the Jewish Old Testament books. 5) Many ancient Jews rejected the Apocrypha as scripture. 6) The Catholic Church itself has not always accepted the Apocrypha. 7) Many church fathers rejected the Apocrypha. 8) The Apocrypha books were placed in Bibles before the Council of Trent and after but were placed in a separate section because they were not of equal authority. The Apocrypha rightfully has some devotional purposes but it is not inspired. 9) The Apocrypha contains a number of false teachings (the command to use magic (Tobit 6:5-7); the forgiveness of sins by almsgiving (Tobit 4:11; 12:9); and the offering of money for the sins of the dead (2 Maccabees 12:43-45). 10) The Apocryphal books do not share many of the characteristics of the Canonical books, such as prophecy. For the more detailed answers on these ten points, refer to the web link above. So ends this 3 Part series of articles in Section One of the Canon of Holy Writ. We shall pick this back up in Section Two, LORD willing and in His time. Until then, may the grace of our LORD Jesus Christ be with all of us, His children, saints born of the Spirit of God.